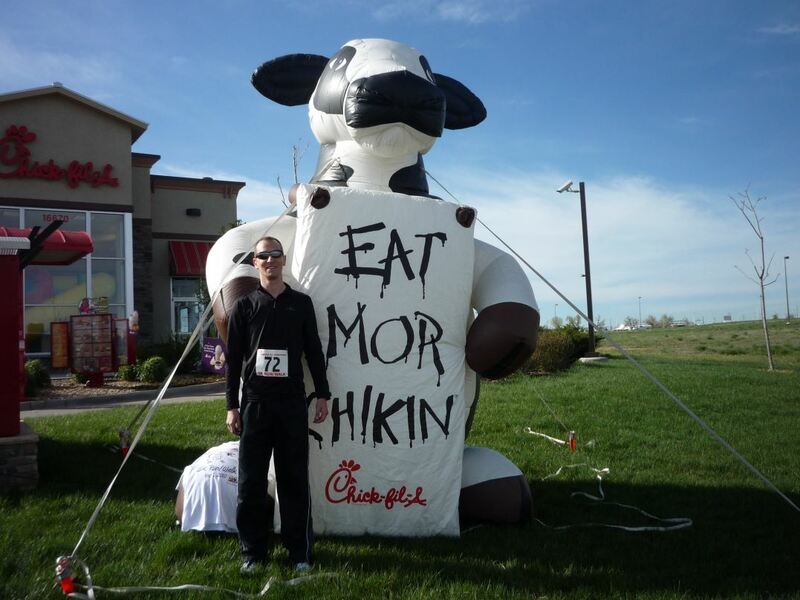 This weekend I ran my second race, the Chick-fil-A at Larkridge 5k Run. Oddly enough, it was another first-annual race like my first one. This time my instructions from Carl were to aim for a 7.4mph speed and accelerate the last half-mile. Like before, I started pumped-up and ran faster than the planned pace (with my Garmin watch showing me I was about 25 seconds ahead of my virtual partner) and I maintained that (give or take 5 seconds) throughout the race, which entailed such scenery as Home Depot and Sears. I ended up beating my last result by 1:40 minutes, and this time It didn't feel like I sold myself short. I had two friends from work come as well, which made it more social, especially with my wife not wanting to get up at 6:30am on a Saturday morning (go figure...). With a better result than last time - 23:40.8 vs 25:20 - I came in at 13th place of all male, 17th of all 100 runners. Not too shabby for someone who never ran more than an arm-length until four and a half months ago. Actually, it was nearly 150 runners and walkers in the race. For your 2nd 5K ever, great job!! It looks like you are running in circles or like a chicken with it's head cut off. What an accomplishment! Before too long, you'll be beating me too. We should go for a run together in Florida.